Roland’s GR-55 guitar synth is one powerful accessory for guitarists – maybe a little too powerful. 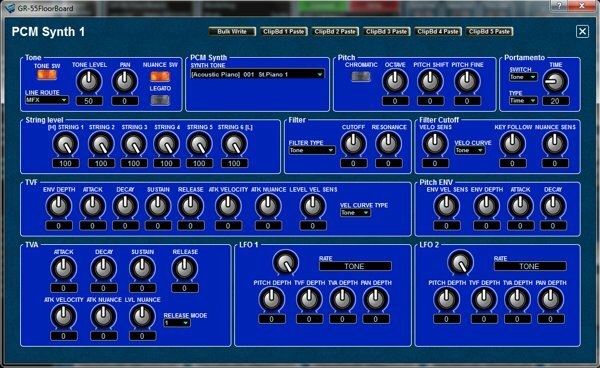 With its various modeling, effects, and synthesis powers hidden in layers of menus, navigating all those sonic capabilities can be a chore. 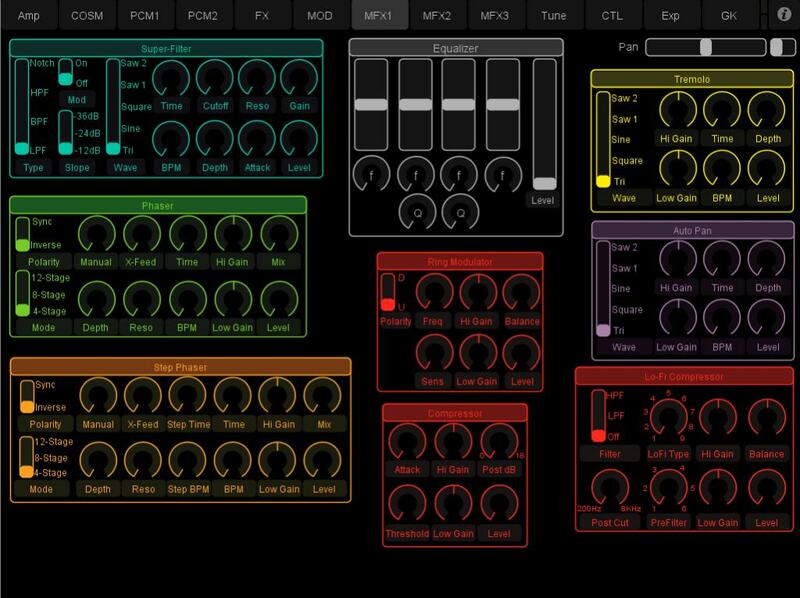 Enter one user from the GR-55’s dedicated community of guitar synthesists. 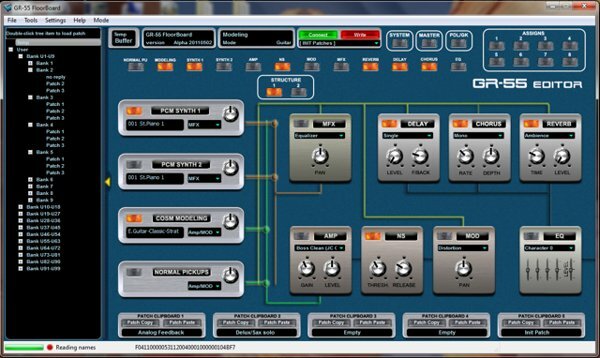 Marc Benigni used TouchOSC control software for the iPad and set up a template that makes all of that functionality touchable, direct, and accessible. But wait — there’s more! There’s also a dedicated, free and open source editor for Mac, Windows, and Linux. (There’s even a fresh Lion build for Mac users.) So, score one for the Roland user community stepping in and doing more than the actual manufacturer (and I haven’t yet seen any maker do a Linux version, or, for that matter, release their editor as open source). Thanks to Marty Cutler for the tip! And all this means you’ve got a powerful editor without the need for an iPad. I recently developed a TouchOSC layout that serves as a patch editor for Roland’s GR-55. The GR-55 is an impressive guitar synth and guitar preamp, but it’s UI leaves *much* to be desired, and Roland has stated that they will not be releasing a PC-based editor for it. 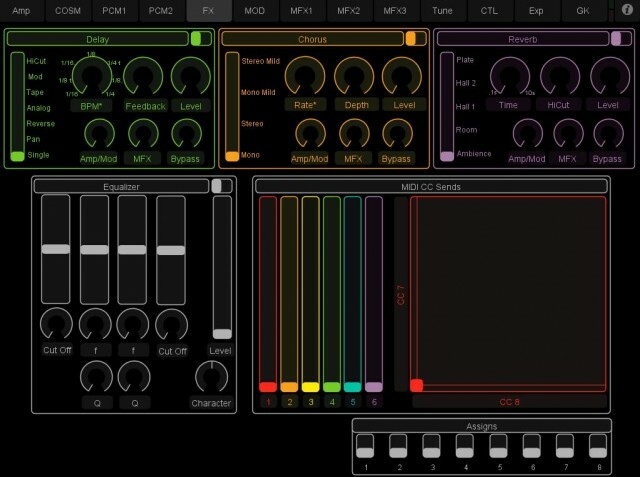 With this layout, an OSC interface, and of course a copy of TouchOSC, the user can easily and intuitively edit patches, or modify GR-55 settings in real-time during performance. The mind still boggles at all those controls, but now it looks far more usable. You can bet that iPad apps may soon be a trend for manufacturers, too, though sometimes – freed from any commercial aspirations – what the users come up with works pretty well on its own. I’m eager to try some layouts out for both iOS and Android touch devices; just because it’s fun as a developer, I’m toying a bit with the latter. MachFive 3, in Pictures: Hybrid Sonic Powers, Nerdy Programming Features, and Prettiest Sampler Yet?